Tomteverkstan is swedish and means Santas workshop. 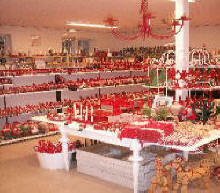 In Tomteverkstans Manufactory-shop you will find all the Santas from our own manufacture. The Santas is also available as building kits and we have a big assortment of porcelainSantas. 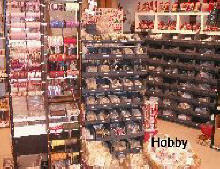 There is also a lot of other things in Tomteverkstan, like swedish handicraft, gifts and hobbymaterials. Målilla.Turn off at sign "Alseda" then at sign "Tomteverkstad".